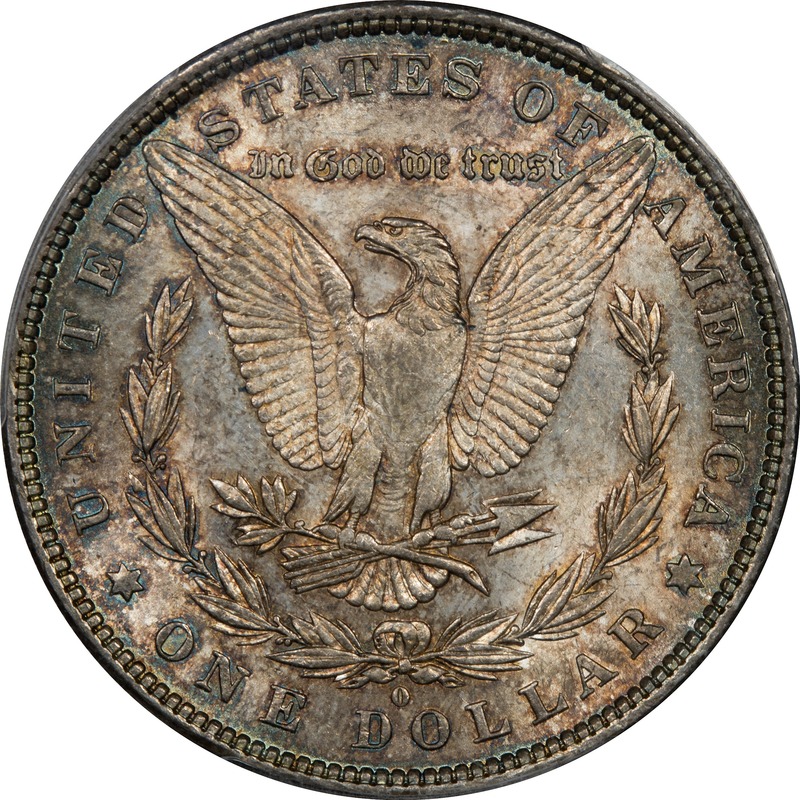 Comments: The quality of this coin is almost impossible to see given the type of toning is has received, so the black and white image below really helps understand the grade. 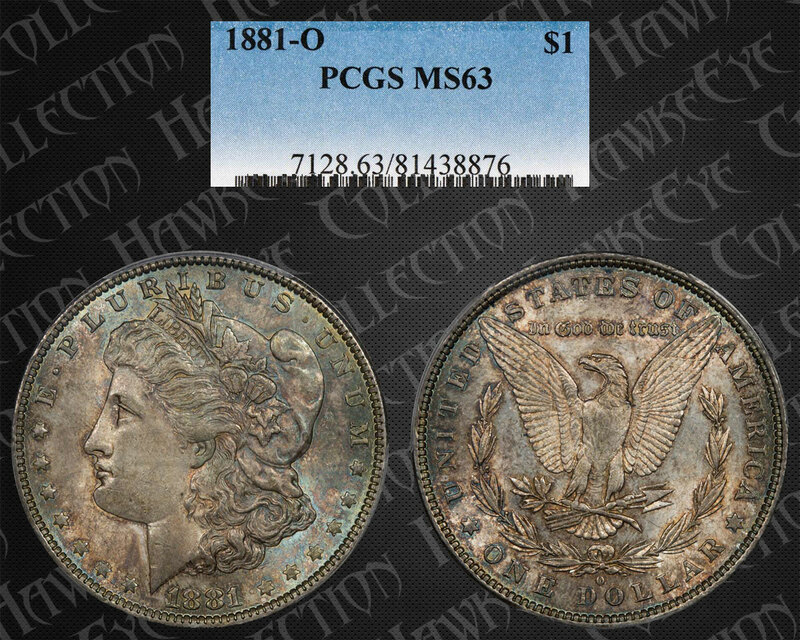 The cheek and fields are clear and we believe PCGS god it right. 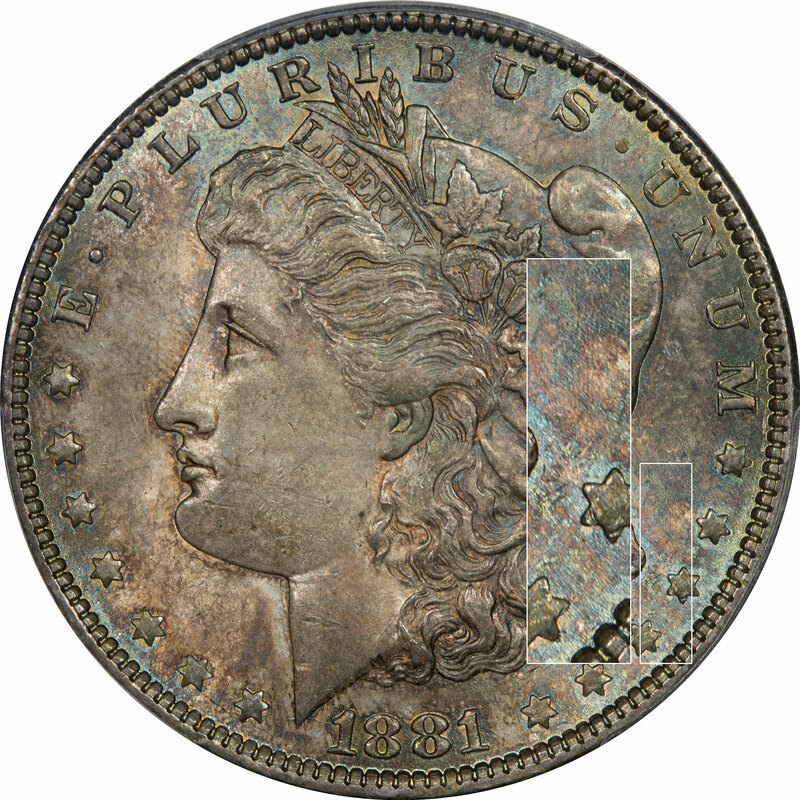 It is very difficult to determine the grade when the toning is mottled as on this coin. VAM 20 is not overly interesting because of the limited features, but it has been a little more difficult to acquire than many others. This is definitely a bag toned coin for a number of reasons. The colors fit, and there is evidence of moisture damage. This one probably languished in the New Orleans Mint and was repeatedly exposed to moisture before finally being released.